The research will be important for fish regulations and welfare measures. 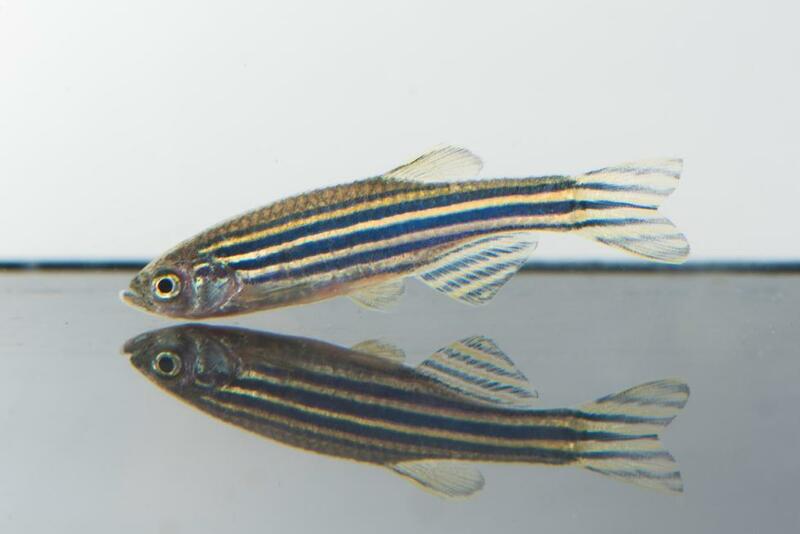 Fish react emotionally to stress, indicating a degree of consciousness, a groundbreaking new study by scientists at the University of Stirling's Institute of Aquaculture has found. For the first time in fish, the team scientifically demonstrated that exposure to stress resulted in 'emotional fever' – where fish temporarily increased their body temperatures by up to four degrees Celsius by moving through a thermal gradient. Dr Sonia Rey, Research Fellow at the University of Stirling’s Institute of Aquaculture said: "Our study reopens the discussion upon sentience in fish, which is fundamental to our knowledge of the species and their welfare. This will have a bearing on the development of future regulations and mitigation measures around fish. "With fish brains lacking a cerebral cortex, unlike mammals, birds and reptiles, it has been claimed to date that they have no consciousness. This research removes one of the key arguments underpinning that claim." The research, which focussed on zebrafish, also involved the Universitat Autònoma de Barcelona and the University of Bristol. It features in the journal Proceedings of the Royal Society B.
Dr Rey said: "Fish cannot internally regulate their own body temperature. Rather, it equates to the temperature of the environment they are in, and so fish travel between different waters to attain their optimal temperature. "In our study we allowed the fish to choose their own temperature by providing them with a thermal gradient in which they could freely move between interconnected chambers holding water at varying degrees Celsius. "Groups of fish that had been gently submerged in a net for a short period chose to travel, when they were released back into the same temperature chamber, to warmer waters, where they then stayed for several hours. "This 'emotional fever' was the effect of their short confinement. Further studies are now needed to explore the underlying mechanisms of this stress-induced hyperthermia, and to test it against different stressors." Dr Simon MacKenzie, Reader in Marine Biotechnology at the Institute of Aquaculture, said: "Our study has significant impact upon our understanding of how fish use thermal choice to optimise their response to stress. This game changing observation will have far reaching implications in how we approach research in fish and how we consider their welfare." The study has been published in Proceedings of the Royal Society B. The Institute has a strong international track record and has conducted research, teaching and consultancy services with industry and academia across more than 80 countries and with more than 200 businesses and institutions. After not even 50 years of existence, the UAB has consolidated itself among the two hundred best universities in the world in the main university rankings, and it is one of the 10 young universities with the highest international projection and global prestige. The University of Bristol is one of the most popular and successful universities in the UK. It was ranked within the top 40 universities in the world in the QS World University rankings 2015 and 9th in the country. The University of Bristol is ranked among the top five institutions in the UK for its research, according to new analysis of the Research Excellence Framework (REF) 2014. Bristol is a member of the Russell Group of UK research-intensive universities, and a member of the Worldwide Universities Network, a grouping of research-led institutions of international standing. The University was founded in 1876 and was granted its Royal Charter in 1909. It was the first university in England to admit women on the same basis as men. The University is a major force in the economic, social and cultural life of Bristol and the region, but is also a significant player on the world stage. It has over 16,000 undergraduates and nearly 6,000 postgraduate students from more than 100 countries, and its research links span the globe.